Edgar Sosa was born with a condition called Craniosynostosis where one or more of the sutures in a child’s skull fuses or closes too early. Untreated, it could have hurt his brain development. Then, in the first weeks of his own child’s life, Sosa learned he had passed the genetic condition on to her. But one thing was very different this time – while the same surgeon who treated the father would be treating the child, the way he prepared was totally different. “The stakes are very high when you’re doing surgery. We used to train on cadavers and some plastic models and those are good for only one time,” Neurological Surgeon Ben Roitberg, M.D. explains in the video below. But thanks to what Dell customer Jay Banerjee, president of ImmersiveTouch, Inc. calls a “symbiotic relationship” surgeons can now use their software optimized on Dell Precision workstations to prepare in a realistic virtual reality operation room with an anatomically accurate 3D model of the patient. “It allows you to restart the whole thing from the beginning indefinitely until you get better,” Roitberg said. 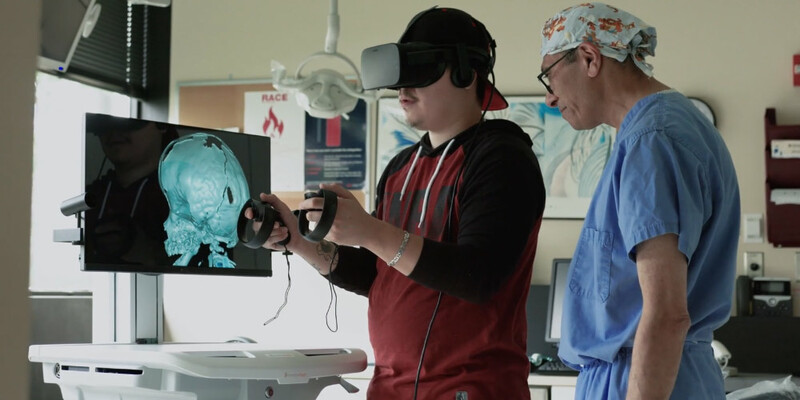 Founded in 2005 by a group of engineers and surgeons, ImmersiveTouch is building the next generation of medical virtual reality (VR) software. Combining 2D and 3D visual data, they provide a unique experience that helps surgeons in planning complex surgical cases. The advances are beneficial not only for the doctors and their patients but also for the patients’ families. 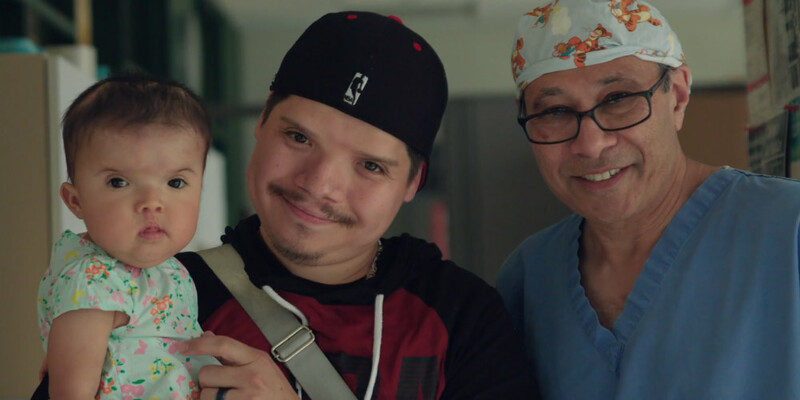 More than twenty years after he operated on Sosa, Patel found himself in the position of using this new technology to reassure him in the more stressful role of father of the patient. “Seeing the scans definitely put us at ease. It was very comforting,” said Sosa.